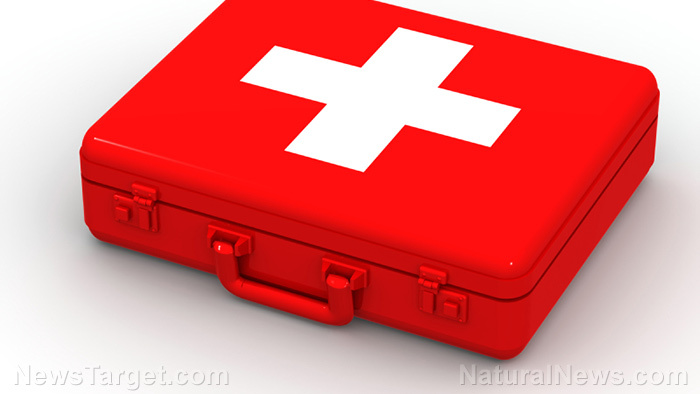 (Natural News) Children get into all sorts of trouble, and many accidents may be hard to avoid. What’s more, parents or guardians won’t be able to keep an eye on the little ones every second of every day. Teaching your kids basic first aid skills can help them feel confident during emergency situations if there are no adults around, and may even help them save a friend’s life. Choking – Young children can learn the Heimlich maneuver and save someone from choking to death. First, explain to them some of the common causes of choking and how to tell if someone needs help. Have your child practice the Heimlich maneuver on a stuffed toy, or they can practice the technique on each other with adult supervision so they won’t accidentally use real pressure as they would in a real choking incident. Cardiopulmonary resuscitation (CPR) – Young children can be introduced to CPR, and older children may be able to master it. Explain the basics of when and how to use CPR. You can also seek some help from a cardiovascular clinic in your area to see if they have illustrated pamphlets you can use that will be easy for children to understand. Teach your child how to listen to a person’s chest for breathing and heartbeat, and to call 911 as soon as they are sure that the person isn’t breathing. One of the most important things to teach your child is how to make a call to 911 and how to describe the emergency situation calmly. You can then teach them how to start chest compressions using a stuffed toy. If there is a CPR mannequin around, you can teach them the steps to rescue breathing. If there is no CPR mannequin available, you may need to explain the steps with some guide from online instructional videos. Nosebleed – While nosebleeds are usually not life-threatening, they can become an emergency when the bleeding is profuse and doesn’t stop on its own after a few minutes. Teach your child how to help the victim lean his head forward slightly, and pinch his nostrils shut for a full 10 minutes. Teach your child to call 911 if the bleeding continues. Burns – Burns are one of the most common injuries. Teach your child to immediately tend to burns by cooling the affected area with running water. Older children will be able to understand the different degrees of burns. You can teach them to apply burn ointment on the affected area after it has been cooled with water. Teaching first aid skills to children doesn’t need to be stressful. You can keep your kids interested by incorporating toys and games in the discussions, and going over the steps every now and then to help them retain the information they will need to face such emergency situations calmly and confidently. Help your kids learn more survival skills by visiting Preparedness.news for more stories.